Northeast India has been slowly emerging as an exciting tourist destination. Abundant in natural beauty and home to salubrious weather far from the disturbing pollution of cities, the northeastern part of India is truly a great place to take a break from your routine. And when it comes to this region of the country, Arunachal Pradesh is one state that will blow your mind away with its landscapes. It is India’s northeasternmost state and is home to the most number of Tibetan Buddhists in India. Its lush green valleys, sprawling farmlands, magnificent monasteries, and serene lakes are all heartwarming attractions. 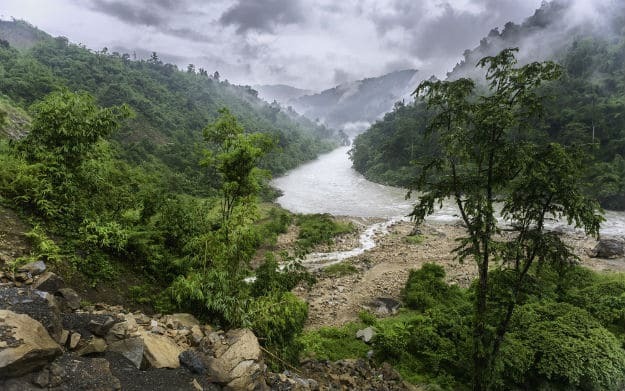 (ALSO SEE 10-day itinerary to Arunachal Pradesh for a vacation in the arms of nature!) One of the little gems worth visiting in this state is the small town of Bomdila. Located amidst the Eastern Himalayas, Bomdila is surrounded by panoramic views of snow-clad peaks and rolling hillocks. It also functions as the headquarters of the spectacular West Kameng district of Arunachal Pradesh. Here are all the details on how to reach Bomdila by road, train and flight. As mentioned above, the only way to reach Bomdila is by road. The nearest railway station to Bomdila is Rangapura North Railway Station which is around 143 km away. The road route from there to Bomdila will take you 4 hours and 50 minutes. So, for your next offbeat vacation, consider Bomdila in Arunachal Pradesh!